Our masks are in powder form to ensure you get 100 % active botanicals, vitamins and fruit enzymes. Allowing you to activate the mask yourself ensures a fresh potent mask every single time. It also allows you to customise your mask to suit your skin. 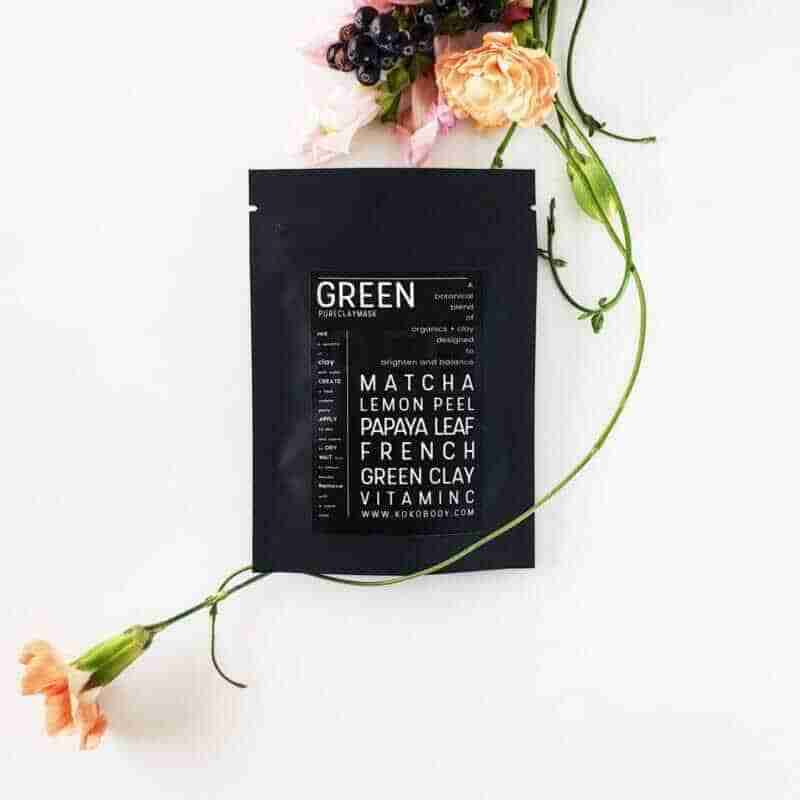 A certified organic, super concentrated form of powdered green tea. This botanical active contains EGCG (epigallocatechin gallate) a natural antioxidant that helps prevent and protect skin cells from damage that ages them. It contains high levels of chlorophyll which calms redness and irritation. Papaya leaf contains the fruit enzyme Papain. Papain is mother natures resurfacer. It gently breaks down the dead skin cells on the surface of your skin that make it look dull and dry. This results in brighter, younger looking skin. Lemon peel provides a powerful cleansing action because it helps destroy bacteria that clogs the skins pores. High in Vitamin C, lemon peel not only helps stop pimples but it brightens and strengthens skin to protect against the skins of aging. To activate your green mask mix one teaspoon of Green with half a teaspoon of water. Gradually add a little more water until you get a thick consistant paste. If the mixture is too thin add a little more Green mask powder. If the mixture is too thick slowly add a little more water and mix until the consistancy is correct. Apply the mask using a brush or fingers working from your nose outwards. Avoid eye and mouth area. Apply thickly to avoid mask drying out too quickly and drawing moisture from your skin. Leave on for between 5 to 15 minutes then remove with a damp warm cloth. Please note: Papain in Papaya can cause allergic reactions. Do not use this mask if you are allergic to latex, or papaya. Montmorillonite (French Green) Clay, Rhassoul (Morrocan Lava) Clay, Camellia sinesis (Matcha) leaf*, Carica papaya (papaya) leaf*, Citrus Limon (lemon) peel powder*.